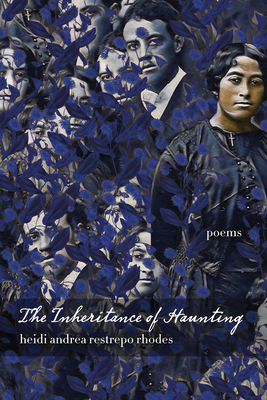 Winner of the 2018 Andr's Montoya Poetry Prize, The Inheritance of Haunting, by Heidi Andrea Restrepo Rhodes, is a collection of poems contending with historical memory and its losses and gains carried within the body, wrought through colonization and its generations of violence, war, and survival. The driving forces behind Rhodes's work include a decolonizing ethos; a queer sensibility that extends beyond sexual and gender identities to include a politics of deviance; errantry; ramshackled bodies; and forms of loving and living that persist in their wild difference. Invoking individual and collective ghosts inherited across diverse geographies, this collection queers the space between past, present, and future. In these poems, haunting is a kind of memory weaving that can bestow a freedom from the attenuations of the so-called American dream, which, according to Rhodes, is a nightmare of assimilation, conquest, and genocide. How love unfolds is also a Big Bang emergence into life--a way to, again and again, cut the future open, open up the opening, undertake it, begin.